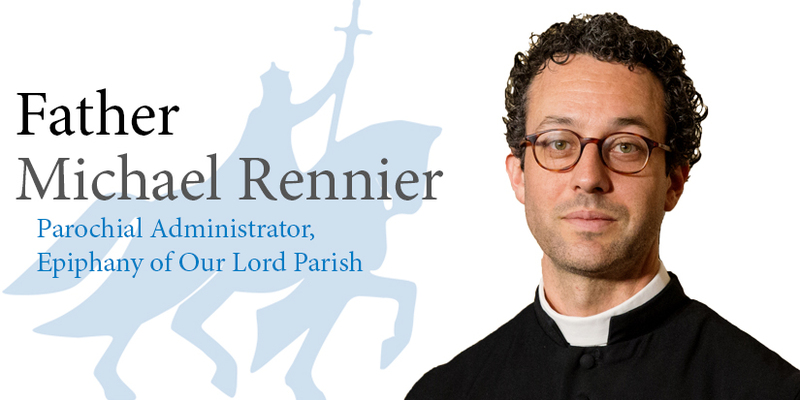 Father Rennier is parochial administrator of Epiphany of Our Lord Parish in St. Louis. A former Anglican priest, he was ordained in 2016 under a pastoral provision for the reception of Anglicans and Episcopalians into full communion with the Catholic Church. He and his wife, Amber, have five children. Finding inner peace, as cheesy as that sounds, is on my to-do list. Like most people, I have periods of peace but also suffer through — thankfully shorter — periods of anxiety and turmoil. I sometimes get so worked up that I lie awake at night. Peace is a difficult concept to pin down, especially when we think of it as the spiritual goal, as if peace is a thing we will one day earn or be given as a reward for a life of faithfulness. Once I have inner peace, I might tell myself, I will have achieved my goal. I will have finally become a mature, grown-up Christian. The flip side, of course, is that when I’m anxious, does that mean that I’m an immature Christian or have lost my faith? Peace doesn’t come and go like that. Yes, we have our ups and downs, but like all of God’s gifts, peace is a state of being that we settle into as we draw closer to Him. He doesn’t want us to struggle to hold onto it, and as long as we stay near God we won’t lose it. So why do so many of us struggle with anxiety? The problem is in what we are seeking, because peace isn’t actually the goal of spirituality. Our purpose is to know God and to love Him. Peace naturally follows from our relationship with Jesus, but it is Jesus who really matters. If we have Him, He is all we need. In the end, it’s very simple. “Smile five times a day,” she says, “Do it for peace.” Spread love and joy. Be positive. Smile at other people. Seek God for His own sake. Jesus not only promises to give peace to us, He is our peace.